Xiaomi today launched two smartphones in the Philippines. The Xiaomi Redmi 5A and Redmi 5 Plus will join the stable of devices that are already officially available in the country. Of the two — and even including the more recent Mi releases — the Redmi 5A is the cheapest. In the Philippines, it will go on (flash) sale for only P4,390 or around $84 on Lazada starting 12 p.m. on March 15 — a steal, if you ask us. (Flash sale because the online retailer has limited stocks.) Plus, if you have Lazada’s digital wallet, you can get it for just P4,090 ($79). It will likely eat up a part of locally branded phones’ sales. The Xiaomi Redmi 5A will go on (flash) sale for only P4,390 or around $84 on Lazada starting 12 p.m. on March 15 — a steal, if you ask us. Plus, if you have Lazada’s e-wallet, you can get it for just P4,090 ($79). The Xiaomi Redmi 5A may be a budget phone, but it is powered by the midrange Qualcomm Snapdragon 425 processor, coupled with 2GB of RAM and 16GB of internal memory. If you need more storage, you can still expand it up to 256GB using a microSD card. The HD screen measures 5 inches, and the 3,000mAh battery is claimed to last up to 21 hours on standby. The MIUI 9.0 running on the handset is based on Android 7.1.2 Nougat. 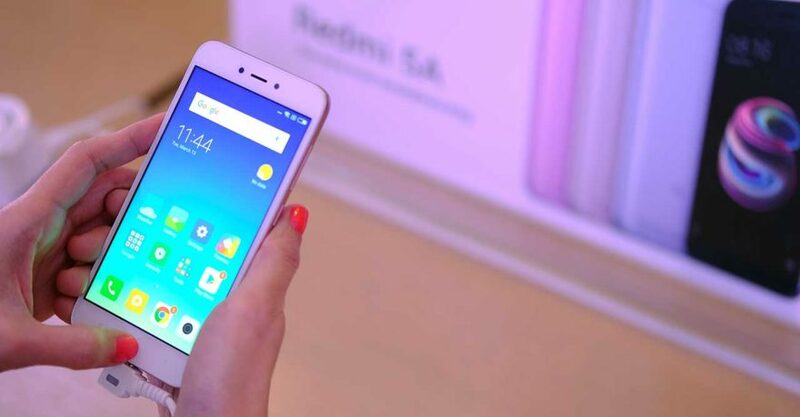 For those who love to take photos — selfies or otherwise — this Redmi is fitted with a 13-megapixel camera on the back and a 5-megapixel one on the front. The Xiaomi Redmi 5A was first announced in China in October 2017. It went on sale in India — the company’s core market outside of its native country — in December 2017.